Everyone wants to get fit and look good. Some of you do find time to go to gym, but there are some who find it difficult to find time for it. Well, there are many equipments available in the market; however, every such equipment doesn’t always suit your budget. You don’t have to worry at all as we have researched and come up with a small list of the best and most affordable fitness equipment. Jump Rope: You must have tried the jump rope in your school. Well, it is time to bring those days back. The jump rope that was fun in childhood can be your fitness buddy. The best thing about jump rope is that it is affordable as you can get it a price less than $20. These are best for cardio workout and can be used anywhere. Bosu Ball: Find the name strange - Bosu? Well it means ‘both sides up’. The Bosu Ball challenges your balance and strength. It is easy to workout with it. Just simply set it on the floor, and start using it like a step from the ball side. When it comes to strength exercise, use its flat side as a platform. One can also use it for lunges, squats, and pushups. You only have to spend around $100 to get this ball. 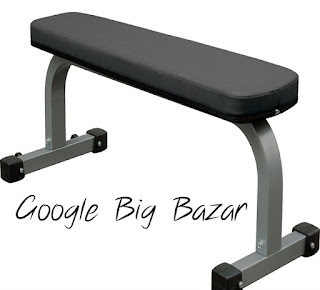 Flat Bench: You must have tried flat bench for various gym exercises such as chest press, pullovers, shoulder press and more. However, it is also a perfect aerobic exercise tool as it can be used in place of a plyometric box, which is used for step-up and jumping exercises. Stability Ball: Stability ball came to the light in the late 1990s. Since then their use has only increased and they are not going out of trend any soon. It has a diameter of 45 to 75 centimeters. Well, you don’t have to worry about its usage as it is designed to hold up a lot of weight. Medicine Balls: These balls are easy to grip; hence, they serve as great equipment especially, when it comes to increasing weight to a lab exercise. These are the cheapest weightloss equipment and most effective at the same time. Just spend around $20 to $45 per ball and achieve amazing upper-body fitness. What are you waiting for? Grab the best and most affordable weight loss equipment to stay fit and healthy.